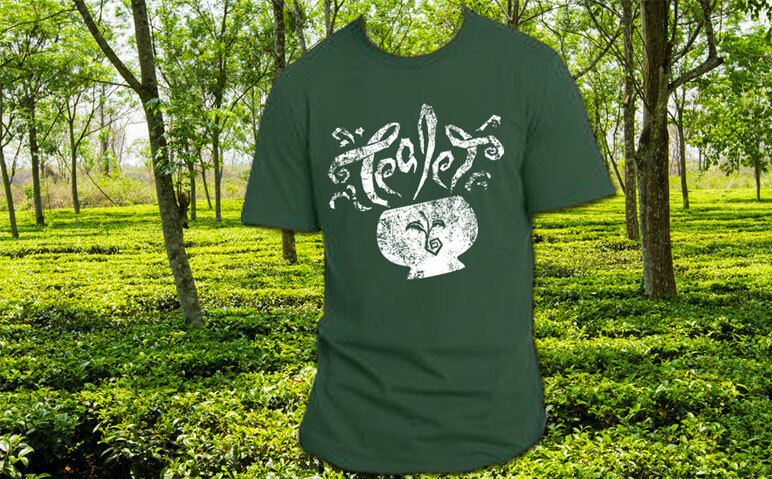 The Tealet Logo shows two hands protecting a tea plant and allowing it to grow. We feel like this represents people collaborating through tea, and growing together! 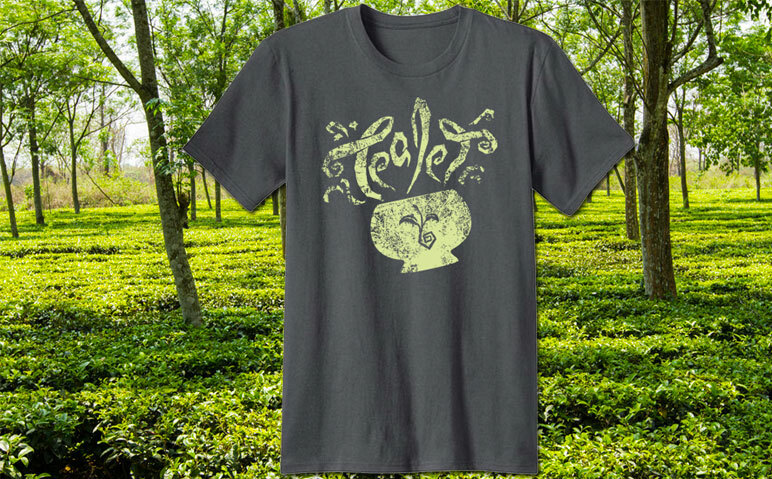 Artist and tea drinker Dana Martin designed this shirt with the Tealet tea plant on the teacup. The design won second place in our 2014 Tea Shirt contest, and was selected by popular vote from the community. 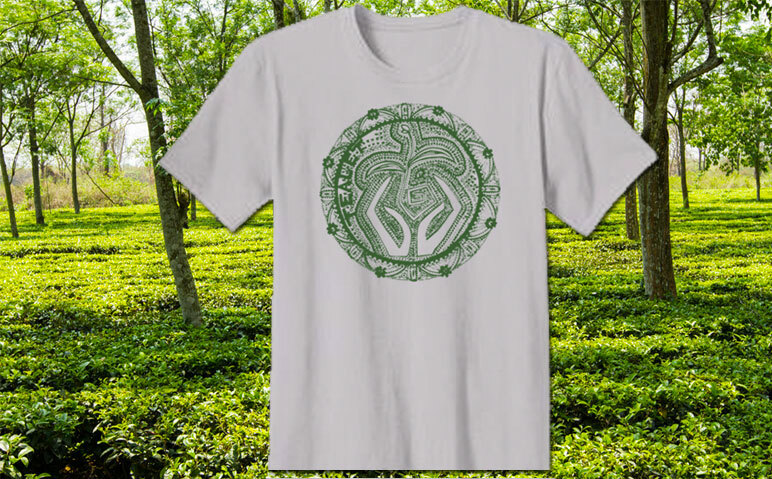 Artist and tea drinker Connie Eison designed this shirt with the Tealet Logo framed in a mandala. 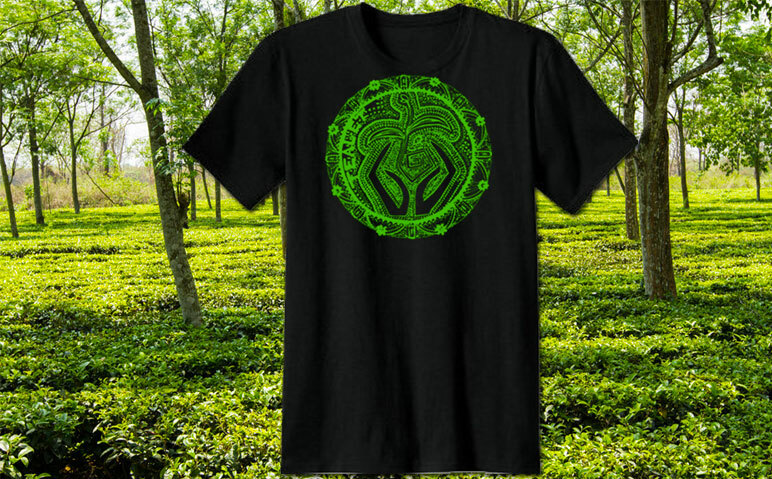 The design won first place in our 2014 Tea Shirt contest, and was selected by popular vote from the community. Screenprinted on 100% cotton. Comes in S, M, L, XL, 2XL. Please refer to sizing chart for reference. After you have purchased a shirt, we will email you to confirm your shirt size.